It’s been a full year since Washington’s distracted driving law went into effect, but according to a survey of 900 King County drivers, there is still plenty of confusion about what is – and isn’t – allowed. It’s not fine! You can get cited for holding your phone for any reason at a stop light – and for good reason. Studies show that it takes 27 seconds to refocus on the road after using your cell phone. Resist the urge to snap that sunset or search through playlists. Instead, find a podcast to get you through rush hour, and keep your hands on the wheel. Sort of. You can use a hands free set or speakerphone while driving and you can use a single touch to start or end a Bluetooth-enabled call – you just can’t hold your phone. In general, both hands need to stay on the wheel at all times. Yes you can! This is the ONE exception. If you or someone else is in an emergency situation, please call 911 immediately. Using your phone while driving is a stand-alone offense. 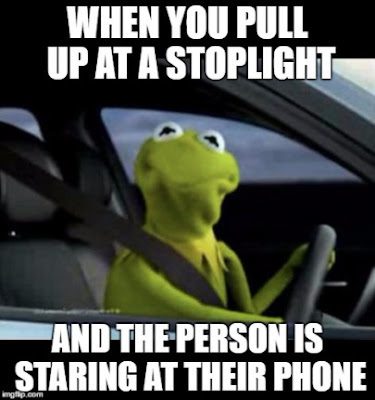 But, if you are distracted in other ways (for instance, touching up lipstick, flipping through the radio, or eating a messy cheeseburger) and you break other rules that warrant citation, the distracted driving offense is a not-so-fun addition to your ticket. Distracted driving offenses can result in a $136 ticket (escalating to $234 for subsequent offenses in a five-year period), but a collision could be so much worse. Entering text into a cell phone can increase crash risk by up to 23 times. Keep your eyes on the road and your hands on the wheel. Want know more about the state’s distracted driving law? Here's more information.